We are the most respected Ottawa Garage Makeovers Company. You've come to the right place. 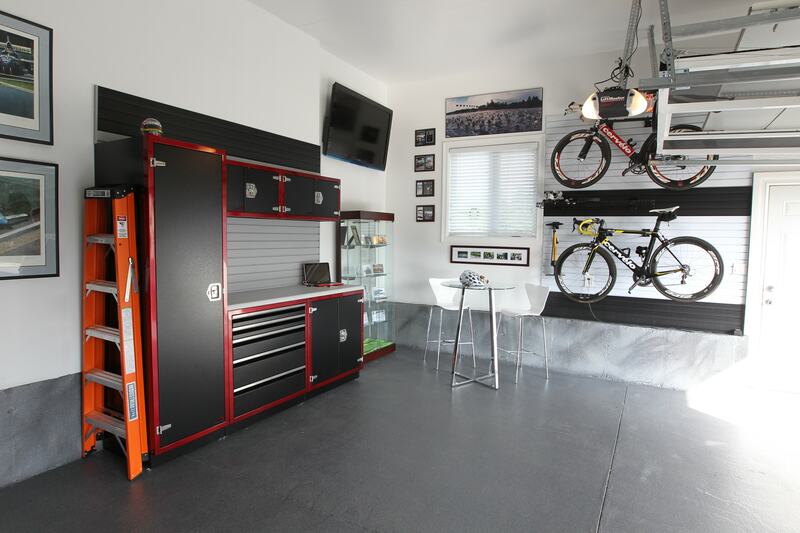 Ottawa Garage Makeovers HAS a solution just right for you & your garage! 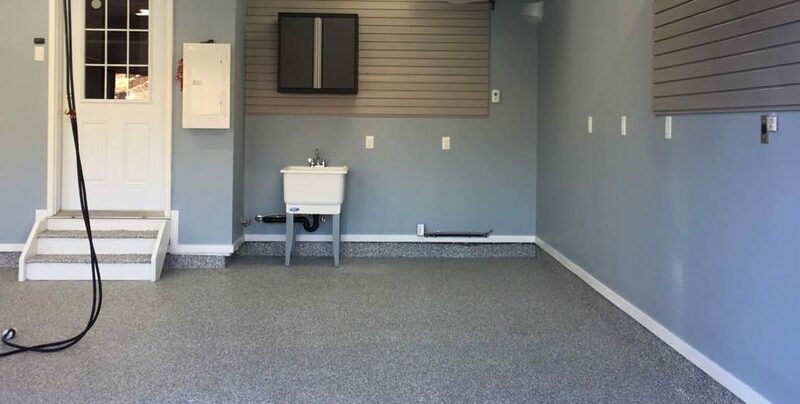 Choose Ottawa Garage Makeover's comprehensive garage floor refinishing…Thanks to recent advances in coating and the way we apply them, we can transform almost all garage floors into a breath-taking showplace regardless of the outdoor temperature. 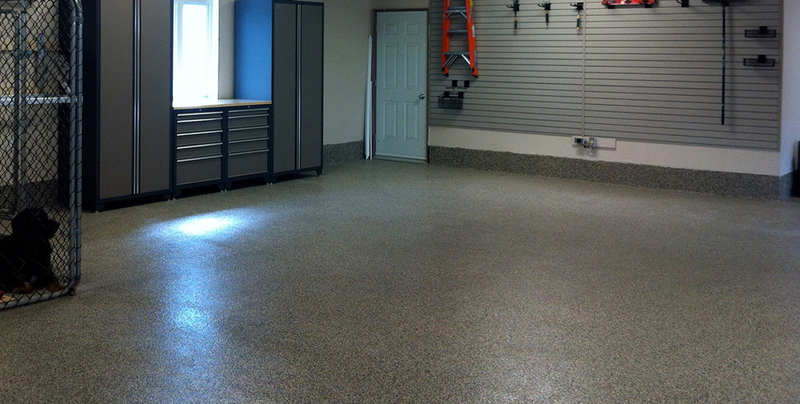 When compared with epoxies, urethanes, or any other options, our garage floor coatings are many times more durable and are UV-resistant too! We help get your garage cleaned-up (or cleared out) by helping you sort through your ‘stuff,’ letting you make the necessary keep it, gift it, or garbage it decisions for each item to effectively de-clutter your garage, reduce the volume, then find a place for everything. Once you've got your 'stuff' sorted out, wouldn't it be nice not to have to put it back on the floor or making teetering stacks out of it? We offer a broad selection of cabinets, cupboards, work surfaces, shelving, slatwall-type storage systems (with an almost limitless selection of innovative accessories), as well as ceiling-hung storage systems for you to choose from. If you don’t have a garage, or your current garage or out-building is proving inadequate, but it wouldn’t make economic sense to rehabilitate it… If you need extra storage space for tools, lawn equipment, etc. If your vehicles are expose to the harsh seasonal weather conditions because you can’t park them inside.. Or if what you need is an office, a warehouse, or a combinaison of both… Ottawa Garage Makeovers can manage your new garage or out-building from concept to reality. You can choose a complete garage makeover – which, in addition to a new garage floor coating and reorganizing your garage space, can include adding insulation, drywall, electrical outlets, lighting, doors, windows, etc. along with all the cabinets, cupboards and storage solutions you'll ever need. 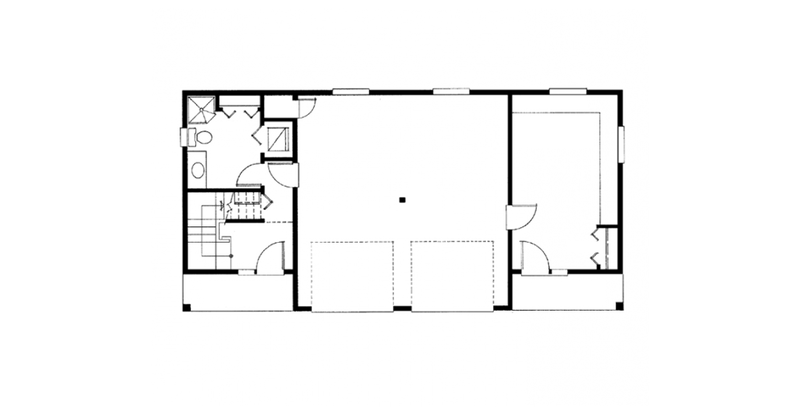 You have garage ideas and a vision of what you want: a clean, organized, functional, user-friendly garage. A consultation and review of your needs and expectations is a key part of a complete garage makeover. 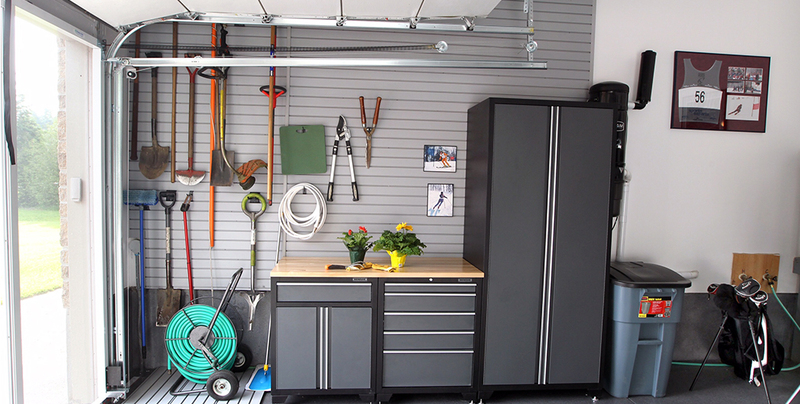 After YOUR Ottawa Garage Makeover, a place for everything… And everything in its own place! Ottawa Garage Makeovers can transform your dingy, dusty, dated, drab and dirty garage into a shiny, new, inviting, totally organized living space… space you’ll be proud of… and that you'll actually be able to get your car into. You’ll never be embarrassed to leave your garage doors open… ever again! Ottawa Garage Makeovers can even make-over your basement, bathrooms, and more… see our Interior Renovations page.